This Cuisinart CEG-980T electric portable grill comes in 2 models. The Cuisinart CEG-980T model and the CEG-980 with VersaStand and they are basically the same grills that is why we did not make 2 reviews to make it easier on you. It is merely a personal choice if you go for the tabletop model or the one with the VersaStand. 145 square inches cooking area. The material of the grate is porcelain coated enameled and this is a very good grate. “Originally we purchased this grill to carry on camping trips on our Motorhome. We wanted to replace one that used propane and would constantly get blown out due to the wind. I thought I’d use it on the patio for a few days to try it out. We found that it worked so well that we didn’t want to part with it on the patio so we bought a 2nd one for the Motorhome. It’s a great smoker and couldn’t be more pleased with it! 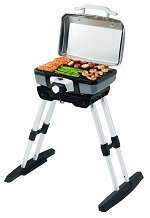 Great grill for the price you pay for it and the table top model is perfect for camping trips or in an RV. Simply plug it into a standard outlet, heat it up and start grill. The fold-able legs secures it on most surfaces. With the possibility to lock the lid while carrying it makes it a nice and easy portable grill. A few of the cons we found were about the short cord that comes with it. The height is good for average, but if you are a little taller it is a little low. Some complaints about not getting not getting hot enough, but most users stated that they had to turn it down because it was too hot. 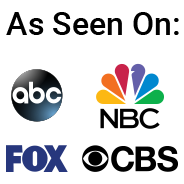 We read a lot of comments on a variety of websites for our reviews and this Cuisinart comes out with a lot of mixed opinions. 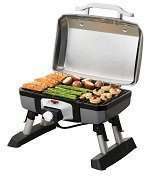 Most users love the Cuisinart CEG-980T electric portable grill and would recommend it to friends and family. We read some complaints about that the grill does not get hot enough to sear a steak. We also read comments that it got too hot and had to be turned down. In our opinion this grill with its 1500 watts in combination with the 145 sq inch cooking area must be able to get hot enough. If not you should return it because you probably received a faulty product. This grill comes in 2 models like we mentioned before. The tabletop model is very portable and therefore easy for camping and RV’s. The model with the VersaStand is more for home use, but can be use on the campground also if there is a standard 110 volt outlet is available. We always recommend the use of a quality grill cover for every grill. But this tabletop model can be placed inside ofcourse. This was a well written review. Thanks for sharing it. In my opinion, the Cuisinart shines due to two reasons. First, it’s portable. You can move this grill around because it weighs only 17 lbs. Taking it on the road for a camping trip (electric outlet needed) is super easy. Second, it’s an electric powered machine. Saying goodbye to charcoal and propane is freedom. Electricity saves money and is more efficient. Are there downsides to the Cuisinart? Sure there are. It’s only designed to last five years or less given it’s electric parts. Also, I don’t like the grease trap on the thing. Really it’s a good grill though, and my full thoughts can be found at https://grillrankings.com/my-review-of-the-cuininart-ceg-980-outdoor-electric-grill/ . All products have their ups and downs, and this one is no different. To sum up, anyone needing an affordable electric grill should really consider the Cuisinart. I think RVers would be best served by it.